Welcome to Leisure City – Your community recreational facility. At the Leisure City Epping gym and Recreation Centre we strive to make a positive difference by providing each and every person opportunities to be healthy, happy and connected. So why not come down and enjoy a FREE trial on us! Our Epping gym and leisure facility is only a stone's throw from Epping Plaza and we have all of the classes, equipment and qualified consultants to help you achieve your goals, stay motivated and enjoy your workout. Enjoy access to our 24 hour Epping gym, over 30 group classes inc. Epping Yoga, Pilates, Epping Zumba, Les Mills and more, our private ladies only gym, personal trainers, on-site cafe with healthy snacks, on-site child minding and play area for your children, a range of sporting facilities inc. tennis courts, beach volleyball courts, multi-purpose courts for basketball, netball, futsal, our Epping swimming pool with swim school and much much more. Enjoy one of the Northern suburbs best health clubs with a FREE trial today! Welcome to our 24 hour Epping gym at Epping Leisure City. Enjoy 24 hour access in our Epping gym. We cater a range of sports on our multi-purpose courts. Dedicated Epping spin cycle studio. Private womens only Epping gym. Our 24 hour Epping gym provides state of the art gym access. Our Epping gym includes a state of the art cardio theatre. 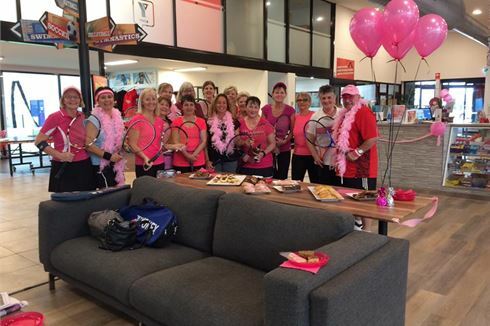 Great community atmosphere at YMCA Leisure City Epping. Let us look after your little ones in our Epping creche. 5 indoor Epping tennis courts for casual and competition hire. Our Epping swimming pool for our swim school program. 3 multi-purpose courts for a range of sports. Our beautiful indoor Epping beach volley ball court. Get functional with our AdrenalineHIT programs. Swimming and water safety skills are just part of what your child will gain with YMCA Epping swim school. With YMCA Swimming Lessons, your child will learn these lifesaving skills. Our nationally accredited teachers give you regular feedback on progress, and a certificate after your child completes each level. YMCA Leisure City is the place for indoor sports in the northern suburbs of Melbourne. The centre has 5 indoor tennis courts that can transform into the biggest indoor football court in the state, we also have 3 multi purpose courts that can be used for Volleyball, Indoor soccer/Futsal, Netball, basketball and finally, we have a beautiful beach volleyball court. We also have an indoor Epping swimming pool with swim school. Indoor Epping swimming pool for our swim school programs. Our exclusive indoor beach volleyball court. Indoor Volleyball is a popular sport at Leisure City Epping. Tennis courts for tennis lovers, social players and competition players. 5 indoor Epping tennis courts. Multi-sports stadium for basketball, netball, soccer and more. Now you can join one of the Northern suburbs best health clubs from just $14.95 per week! The Epping gym at YMCA Leisure City combines the convenience of 24/7 access with full-service facilities. Memberships start at $14.95 per week for full membership and $12.30 for pensioners, concession card holders and students. Additional benefits within the membership include members only lap swimming (restricted access), as well as group fitness and even discounts on tennis court hire. There is even a ladies only gym available. For great value, great facilities and great results, come and visit us at 41-53 Miller Street Epping to find out how you can get started (or continue) on your health and wellness journey.